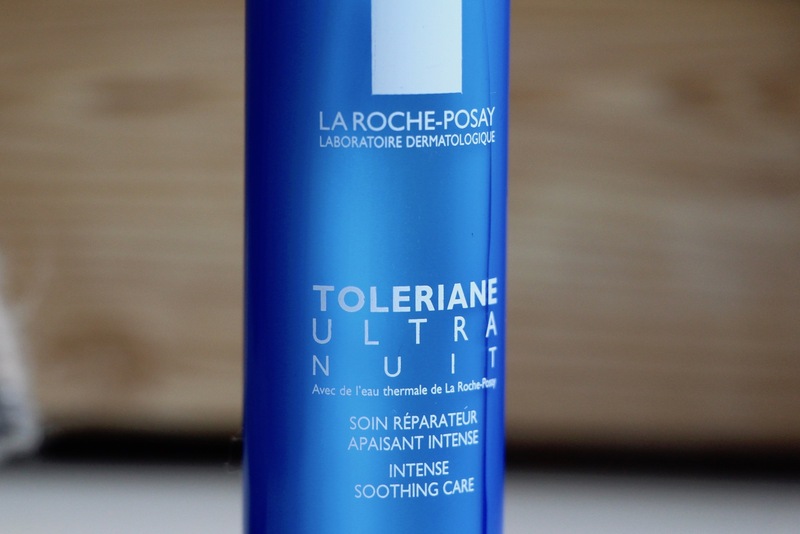 Another great moisturiser from La Roche-Posay (I already really rate the Toleriane Fluid for very light, effective hydration): the Toleriane Ultra Overnight Care. This is an intensely soothing, comfortable night cream that feels very rich but doesn’t leave any greasiness – it’s a great addition to your skincare line-up if your skin is often irritated and dry. The Toleriane range targets sensitive skin that’s quite intolerant and reactive and so the products – there are various cleansers as well as moisturisers – tend to be rather minimalist and are free from fragrance, alcohol, colourants and preservatives as well as lanolin, if that’s something that you look out for. The packaging (at least for the Toleriane Ultra creams) is hermetically sealed, so the cream inside won’t go off or become contaminated even though there are no preservatives. Well worth a look through the whole range if you have easily irritated skin – the mono-dose makeup removers are absolutely brilliant if your eyes can’t tolerate normal formulas. They are also great for travelling as you can just take a few in your makeup bag rather than having to heft a bigger bottle about with you. Anyway, I digress: it’s the Toleriane Ultra Overnight Care that’s been saving my face for the past couple of weeks. Extreme stress (seems to be my sport of choice) and a terrible diet coupled with the central heating being cranked up high have left me with an angry, tight, flaky complexion. Sometimes sore, especially after cleansing, frequently itchy around the nose area, now and again a bit bumpy and hormonal along the jawline. I do have a mini arsenal of SOS beauty products to deal with such situations (I love the Pai Blemish Serum for nipping potential breakouts in the bud) but Ultra Overnight Care is the newest addition, and a very welcome one at that. Because it won’t break the bank, this cream, despite being incredibly effective at soothing and comforting and adding much-needed moisture. It’s £17.50, which for a night cream that promises to actually reduce skin sensitivity night after night, seems very affordable. On that “reducing skin sensitivity” thing; Toleriane Ultra contains neurosensine, an ingredient that apparently helps to inhibit the inflammatory process that’s responsible for the skin’s sensitivity. In a bit of marketing blurb that I had ages ago, it was going on about the “cycle of inflammation”, which I think was referring to the way that the skin reacts to external aggressors, and then, if it’s already slightly compromised it basically throws a huge, dramatic hissy fit and overreacts and the skin becomes even more compromised and so the cycle continues. Now I can’t tell you whether that’s actually what it said, word for word, because I was too busy laughing at my own joke, which was all about the Cycle of Inflammation being Satan’s favourite mode of transport. Because if Satan rode a bike, would it not (surely!) be called the Cycle of Inflammation? The saddle would be made of a piece of coal, glowing hot, lethal to touch. Great flames would shoot out from between the spokes of the wheels as he pedalled along, the handlebars would be covered in hedgehog prickles, the bell, each time he dinged it (“mind out, Satan coming through!”) would squirt him with hot lava. Oh Satan, Satan, on your Cycle of Inflammation. Biking along in your Moss Bros. pinstripe suit, going to your rented office where you – get this – hot desk. Haha. Someone stop me, I could go on for hours. Back to the face cream, which would probably soothe all and any of Satan’s bike-related inflammations – I’ve tried it after a number of different peel-related mishaps, the latest of which involved leaving on an AHA mask for ten minutes longer than it should have been. I removed it and thought that my face had been put through a laminating machine, it was so tight and shiny! On with a layer of Toleriane Ultra Overnight Care (or the Ultra Nuit as I’ve been calling it, because the French product name is both prettier and shorter) and an instant sense of relief. If I had better hearing and/or wasn’t surrounded by constant noise, there’d have probably been an audible hiss as my hot skin came into contact with the cool, calming cream. Bliss. Toleriane Ultra Nuit has been formulated for the most reactive, allergic of skins and so on my face, which isn’t overly sensitive but has its moments (mostly self-inflicted, see above) it’s beyond gentle. You can see the full ingredients list on the La Roche-Posay website*, which is great – lots of brands still don’t do this, and it’s incredibly important for people with reactive, intolerant skin or people with allergies to be able to see what they’re getting in the bottle. You can find La Roche-Posay Toleriane Ultra Overnight Care (or Ultra Nuit) at lookfantastic here* and escentual.com here*; the La Roche-Posay website is here* for full ingredients list. 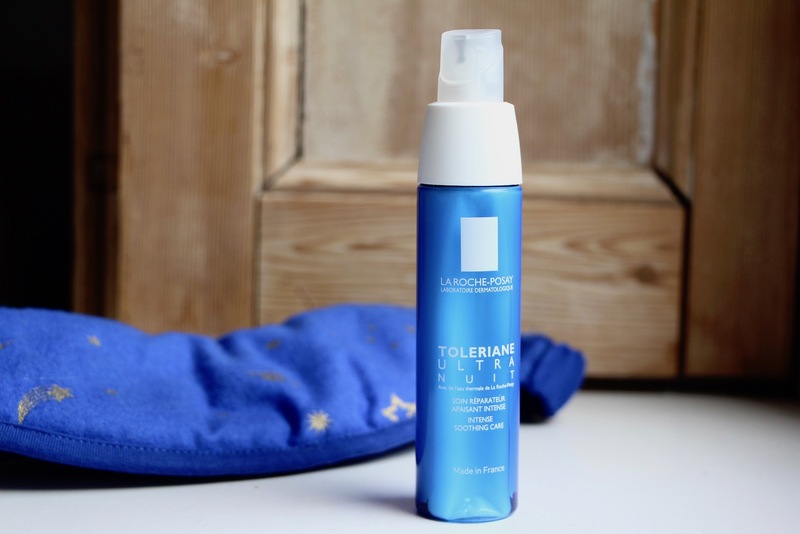 UPDATE: Toleriane Nuit is currently on sale at lookfantastic, £11.55 here*! Previous Post Glitterati, Let’s Go Party!